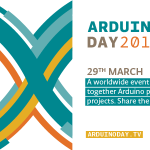 Arduino Day is a worldwide celebration of Arduino’s first 10 years. Techniques to desolder, remove surface mounts and replace. Tonight Professor Mayhem demonstrated a smd hot air rework tool to remove a surface mount part and replace using ChipQuick tack flux and rework solder paste. Everyone got to try their hand, each with successful removal and reapply. Congratulations to both Orbital Sciences and SpaceX for their successful launches this week. Space is now officially open for business! We would also like to publicly state the Yoyodyne Monkey Works had nothing to do WHATSOEVER with the GPS errors causing difficulties with the docking to the International Space Station.